Until recently, 3D and 2D designs were limited to specific programs, including AutoCAD, 3DMAX and sketchup, so design enthusiasts searched for fast and easy programs that everyone could learn and even download on mobile phones. Shapr3D enables you to create 3D graphics using sophisticated and innovative techniques that enable you to easily complete 3D and 2D designs. 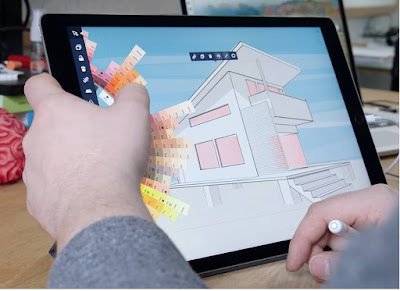 The application can work with an intelligent drawing pen for writing and drawing correctly on your iPad. It is especially designed for graphic and design professionals, It is characterized by its speed and ability to accurately calculate geometrical angles.